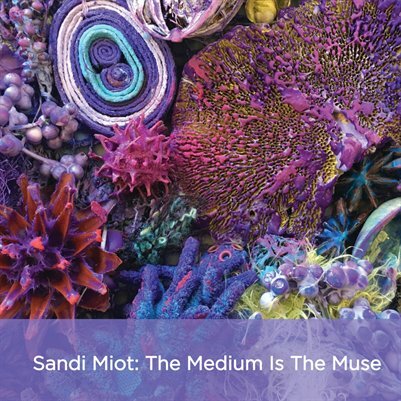 Exhibition catalog for Sandi Miot: The Medium is the Muse, a retrospective exhibition of 17 years of the encaustic artwork by Sandi Miot at Marin Museum of Contemporary Art, in Novato, California, December 10, 2016, through January 8, 2017. Catalog also features a site-specific installation created by Sandi for this exhibition. Catalog has a foreword by Sandi Miot and an essay by Joanne Mattera.